Samsung turns attentions to affordable TVs | What Hi-Fi? 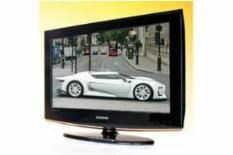 The head of Samsung's TV business has said that the affordable TV market is the company's next key target area for growth. While the focus last year was on more premium, 3D sets, this year Samsung plans to meet what it sees as growing demand for cheaper sets, especially in its native South Korea. Kim Hyun-suk, executive vice president of Samsung's visual display division, said: "As long as there's demand, we're open to get into that segment. "We've been preparing to introduce cheap models and have been studying to optimize production costs and retail prices. Those (cheap) models will be ready for sale in one or two months." Samsung's sales figures have remained solid in turbulent times, selling 43 million flatscreen TVs last year. The company is aiming to sell 50m TVs this year.